Thomas is an applied microeconomist interested in questions of environmental economics. Particular research interests include empirical policy evaluation, the economics of climate change, and environmental and climate policy in China. 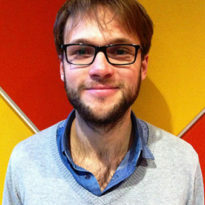 Thomas is a Policy Officer at DG Climate Action at the European Commission in Brussels, Belgium. Thomas holds a PhD in Economics from Universitat Pompeu Fabra. Previously, Thomas was a High Meadows Post-Doctoral Economist at the Office of the Chief Economist at the Environmental Defense Fund in New York, NY, as well as a visiting PhD student at the Grantham Research Institute.